Pssst. Wanna buy a nightclub? A pretty famous one in Burlington has just hit the market: Nectar's. Last week, Seven Days reported that the building at 188 Main St., which houses both Nectar's and Club Metronome, was for sale. Unclear at the time was whether the nightclubs were also on the table. In a recent phone call, representatives from Nectar's Entertainment Group, which owns the building and both clubs, confirmed that the business is also for sale. "We've come to this point because some of us have decided to invest elsewhere and pursue other opportunities," said NEG's Noel Donnellan. He added that fans shouldn't expect to see major changes any time soon. That's partly because the sale is not imminent. Though the building and club have attracted strong interest, finalizing a buyer could take months or longer. But it's also because of safeguards built into the club's lease at the building. "We've got a secure 20-year lease here in place," Donnellan said. "And we for sure don't see Nectar's going anywhere, whether that's completely new ownership or some part thereof." "Whether one of the five owners stays involved, or some do or none of them do, our No. 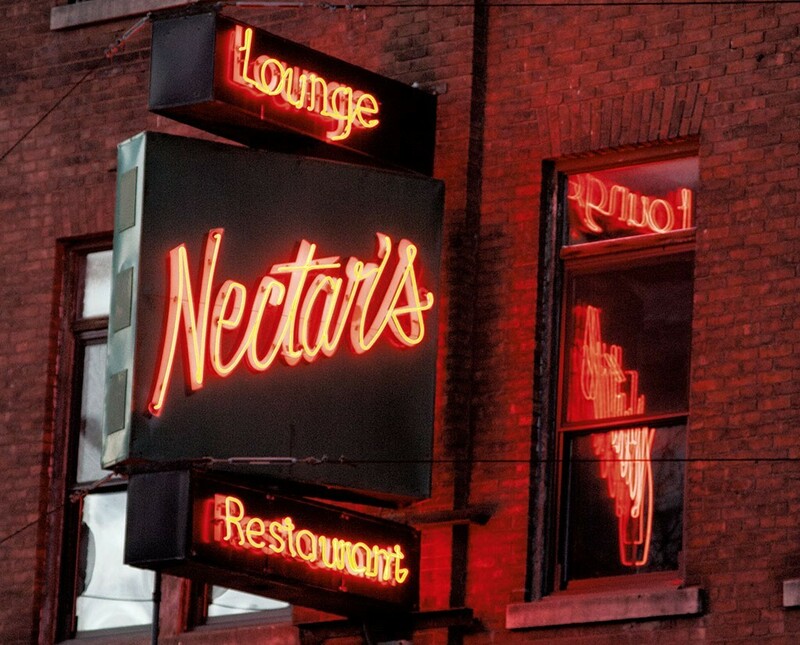 1 concern is making sure Nectar's doesn't go anywhere," added NEG's Alex Budney. "It was there long before us and it should be there long after. It's an institution, it's a landmark." Nectar Rorris opened Nectar's, formerly the Hi-Hat, on August 29, 1975. He sold the business to Damon Brink and Chris Walsh in 2003. In 2008, Walsh bought out Brink. NEG, a five-person consortium of Walsh, Donnellan, Budney, Jason Gelrud and Peter Picard, currently owns the building and business. The building and business are technically being sold separately. The building lists at $2.5 million, while the asking price for the business, which includes Club Metronome, is $750,000. "Theoretically, someone could buy the building and a second party could purchase the business," noted Walsh. Budney stressed that he and his partners will be selective in finding a buyer. "That's important to each of the five owners," he said. "It's got to be the right fit, and we're taking that process very seriously." "Nectar's is bigger than any one of us," said Donnellan. "So [it's important to find] the right fit to be sure it's secure moving forward."